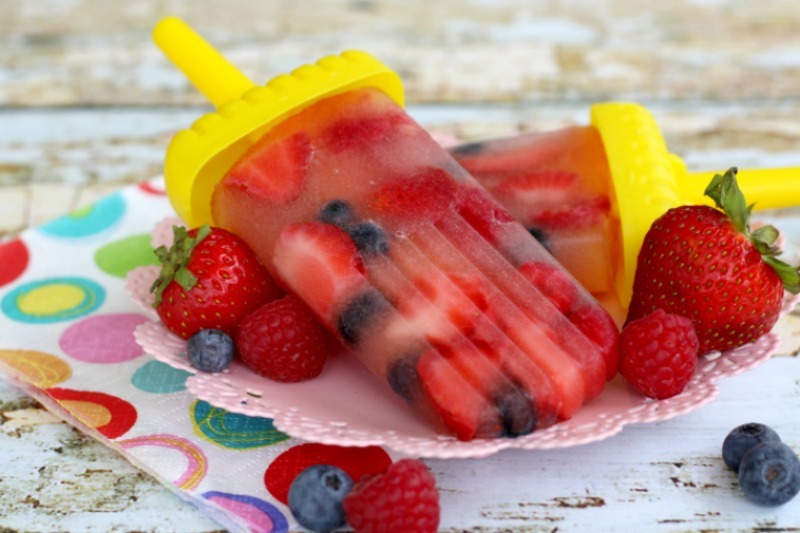 Want a healthy snack for summer? 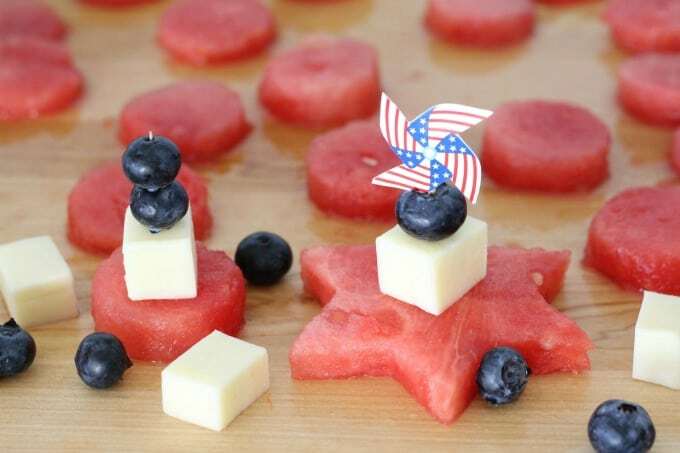 This red, white and blue fruit and cheese snack makes a perfect party food or a delicious, healthy treat to enjoy poolside. This post contains affiliate links to help you find the items you need to make this fun snack. I love living in Florida! We’ve got great weather, beautiful beaches and Disney World. I’ve also found another reason to love it here…the locally grown produce and seafood right off the boats! Summer is the best and I’ve been eating all kinds of Fresh From Florida blueberries, watermelon, tomatoes and sweet corn. It’s great being able to shop at local farmers markets and there’s just something about eating home grown produce that makes it taste better! Plus, I can find out what’s in season and base our meals and snacks around those foods. Not only will the produce will be fresher but you’ll be paying less for it too…a win/win, don’t you think? The best part about eating what’s in season is that it’s cheaper too. It’s perfect for party foods too! 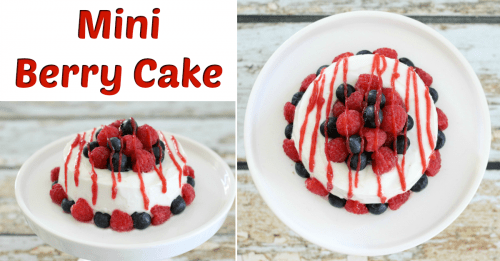 I love these mini no bake cheesecakes with fresh fruit and when we were recently invited to an end of the year school party, I had a new idea. 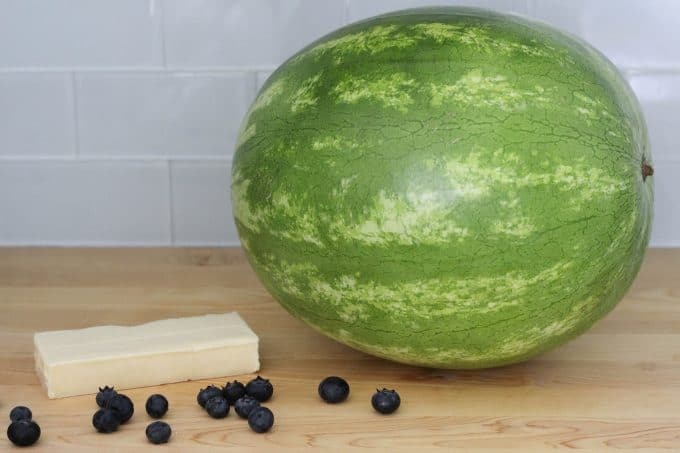 I picked up some fresh watermelon and blueberries, along with a chunk of Monterey Jack. I had the perfect healthy snack in mind! 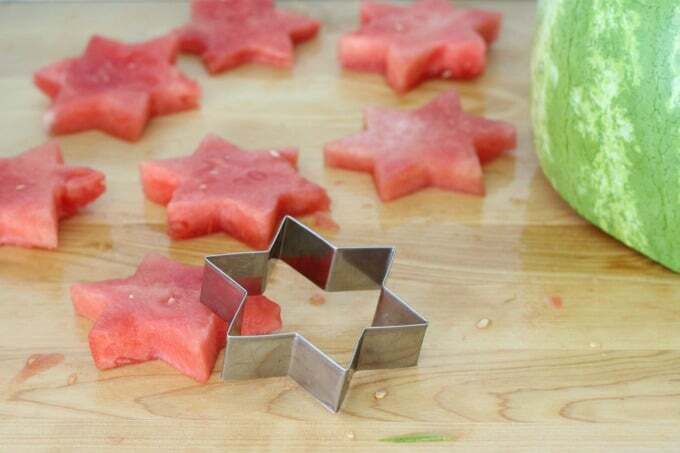 After slicing the watermelon, I used a cookie cutter to make watermelon stars. I had a lot of smaller pieces after cutting out the stars so I make some circles as well. Since I didn’t have a circle cookie cutter small enough so I found the next best thing, a shot glass. I have two kids so my tequila drinking days are over…I’m glad I can still use this for something fun! 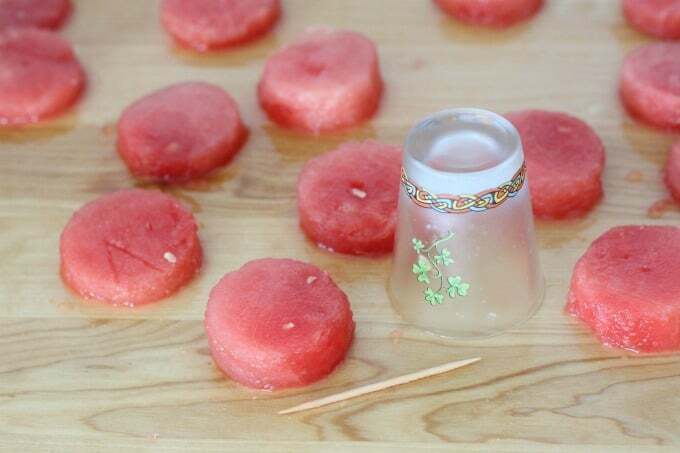 If the watermelon doesn’t want to come out of the shot glass, just stick a toothpick in the middle and pull it out that way. 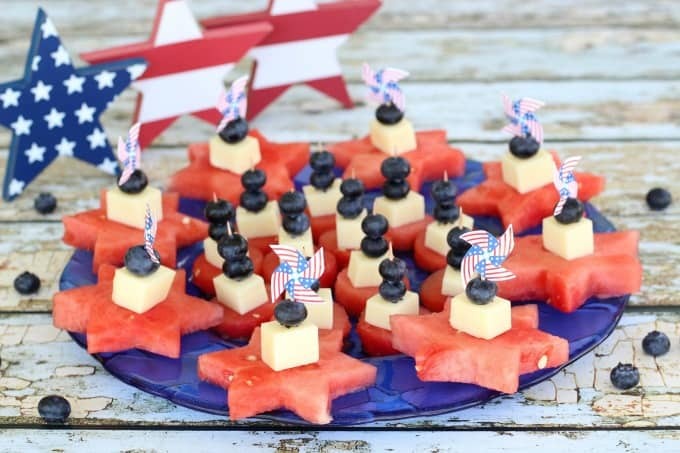 Once I had my watermelon shapes, I cut the cheese into chunks and placed them on top of the watermelon. Then I added a blueberry or two and secured them with a toothpick. I love these little pinwheel toothpicks! 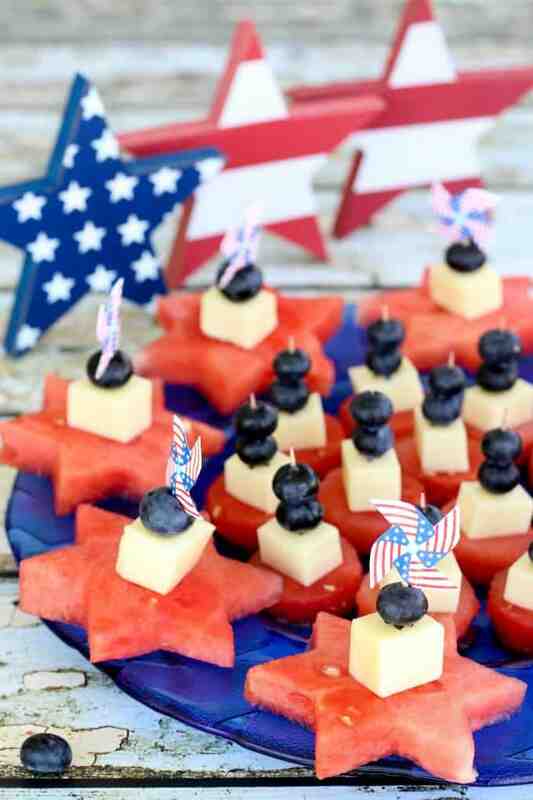 If you can’t find them (I bought them awhile ago), you can always use mini American flag toothpicks instead. 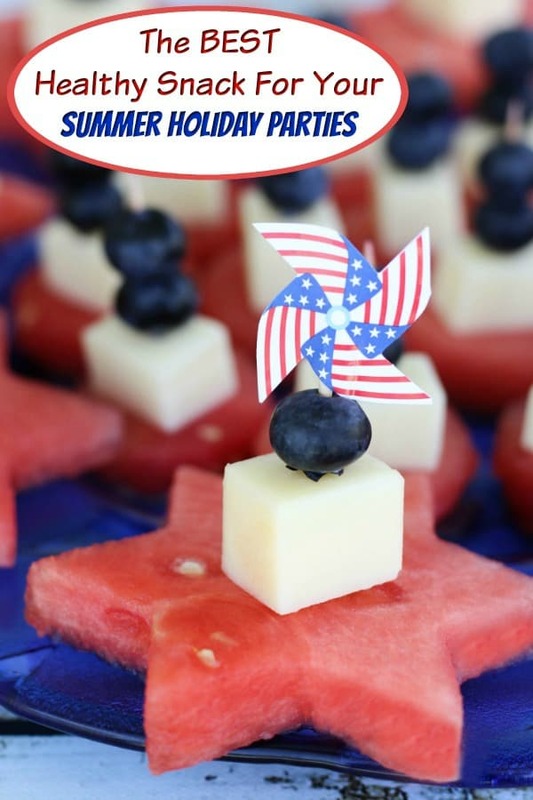 Now you have the perfect easy party snack for your summer party! I make so many desserts for parties that I enjoyed making something a little on the healthier side this time. 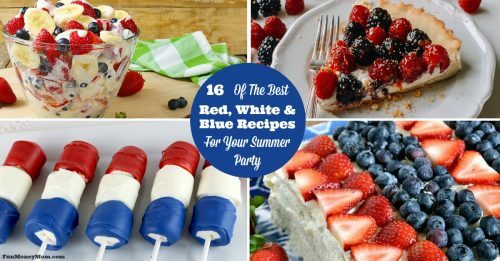 They were a big it so these will remain high on my list of summer party snack ideas! What are your favorite recipes incorporating Fresh From Florida produce? Which Fresh From Florida recipe will you be making this summer? Cookie cutters are my favorite tool to have on hand for fruit and cheese. I’m always amazed by how it impresses people, yet it’s so easy! I’ve never thought to put cheese in with my fruit kabobs. Such a great idea! Thanks!